Black Panther has hit another box office milestone surpassing Titanic to become the third highest-grossing film of all time in the US. As of Friday (6 April), Ryan Coogler’s Disney-Marvel film had amassed totals of $659.3m (£468m) in just two months with sales overtaking James Cameron’s 1997 haul of $659.5m (£468.2m), not adjusted for inflation. The top two spots belong Star Wars film The Force Awakens – with $936.7m (£665m) – and Avatar, also directed by Cameron, which racked up $760.5m (£539.9m) according to Box Office Mojo. 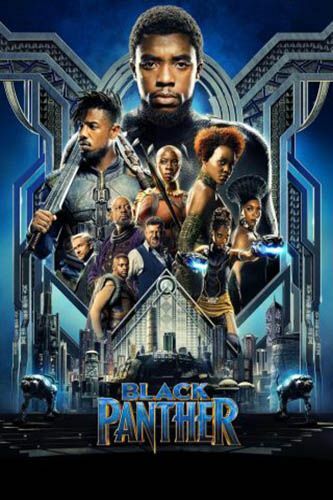 Just last month, the groundbreaking film – which stars Chadwick Boseman, Lupita Nyong’o, Michael B. Jordan and Danai Gurira – overtook Avengers Assemble’s $624m (£443m) to become the biggest-selling superhero film of all time. Black Panther’s global takings of $1.29 billion (£915.7m) position it as the tenth biggest selling film of all time. The positioning of the aforementioned films is set to be challenged by the release of Avengers: Infinity War which will offer a return to Black Panther’s world of Wakanda as well as boast a scene featuring more than 40 superheroes.